The ITU Under23 World Championships have produced plenty of elite triathlon stars and you don’t need to look very far to find them. While athletes like Javier Gomez, Alistair Brownlee, Brad Kahlefeldt, Daniela Ryf, Lisa Norden and Andrea Hewitt have all won U23 world titles, you only need to look at last year’s winners to see how quickly the transition is made. The 2010 U23 men’s champion Jonathan Brownlee goes into the elite men’s Grand Final race ranked No.2 in the world (behind brother Alistair Brownlee), while Australia’s Emma Jackson is ranked fifth in her debut elite season. This year’s U23 field has continental cup, World Cup and previous Under23 and Junior World Champions, and therefore both the men’s and women’s races are set to showcase the stars of the future. The Under23 world titles are run over the same course as the elites, with a 1.5km swim, a 40km bike ride and a 10km run staged on the 2008 Olympic Games course. Great Britain could capture two men’s U23 titles in a row with three impressive candidates in this race in Beijing. First is Aaron Harris, who almost pulled off an impressive World Cup win in just his second attempt, but had to settle for silver at the Tiszaujavorous World Cup. But Team GB also has last year’s junior men’s silver medallist Tom Bishop and Matthew Sharp, who finished 13th in Edmonton and then ninth in Tiszaujvaros and won a Premium European Cup event in Geneva in between. But it’s a huge field for the Men’s Under23 race so expect to see some excellent racing athletes like these to feature; Aquathlon world champion Richard Varga (SVK), Russians like Denis Vasiliev, Igor Polyanskiy and Andrey Brukhankov, Canadian Andrew Yorke, Australian’s Peter Kerr, Mitch Robins and Aaron Royle and ITU development athletes Carlos Javier Quinchara Forero (COL), Jason Wilson (BAR) and Ognjen Stojanovic (SRB). The wide open women’s field feature a mix of new names and regulars on the elite tour. Hungary’s Zsofia Kovacs (HUN) who finished seventh at both the Tiszaujvaros and the European championships, will wear number one. Also contending will be Germany’s Rebecca Robisch who finished 15th in the elite sprint Lausanne round and top-10 at the Monterry World Cup and one of Africa’s brightest new talents Fabienne Aline St Louis (MRI), who is coming off a bronze at the All Africa Games. Watch for athletes like Agnieszka Jerzyk (POL) who finished 5th at this year’s Tiszaujvaros ITU Triathlon World Cup and then won the European Cup event in Karlovy Vary, Maike Caelers (NED) who finished 12th in this event last year. 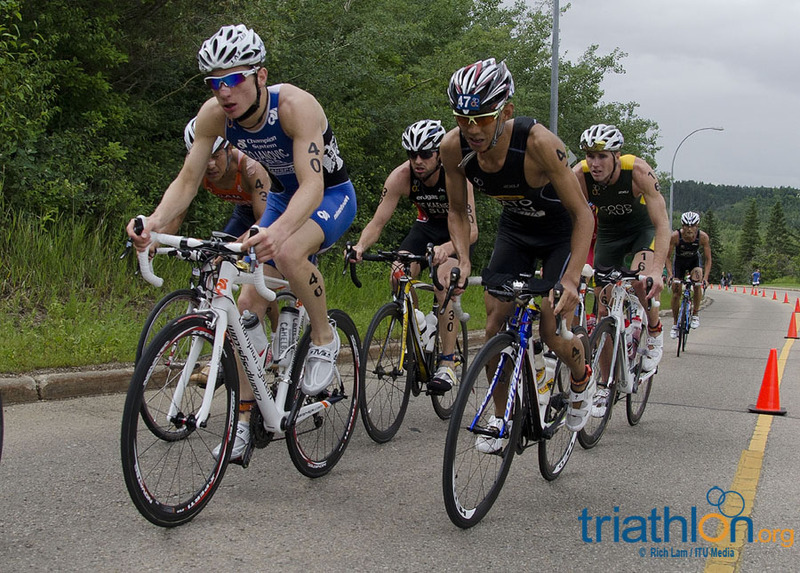 Many in the field have experience racing in the Dextro Energy Triathlon ITU World Championship Series races this year. The 2011 Under23 Men’s World Championship race (local time) on Friday September 9 at 12.30 (local time). The Under23 Women’s World Championship race is on Saturday September 10 at 3.15pm, followed by the men’s race at 2.10pm. Follow on Twitter at twitter.com/triathlonlive. There are over a hundred ITU World Championships on offer next week in Beijing, from age-group, junior, Under23, elite, paratriathlon and aquathlon, so how to make sure you don't miss any? We've made it easy here. The Dextro Energy Triathlon Series Grand Final Beijing is close, so it's a perfect time to revisit the 2008 Olympic Games. Why? It's the same course, plenty of the same athletes, and it might provide some insight into the outcome.